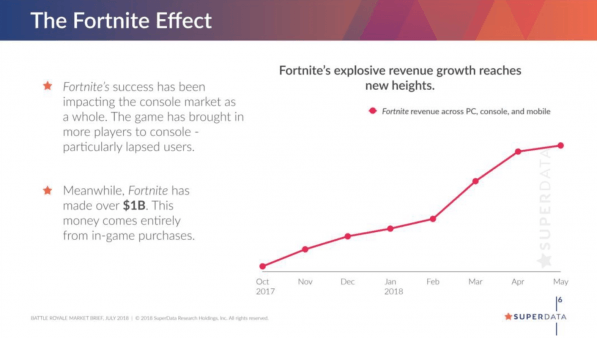 Fortnite turned out to be a huge success for Epics Games ever since the release of Battle Royale mode and the game is in continuous mode of expansion even today. The popular battle royale game is free-to-play across the gaming platforms and yet it manages to earn a lot of revenue when it come to micro-transactions. Back in May, Fortnite earned over $318 million in just a period of one month, which is a big number ofcourse. While new report published by SuperData claims that the game has now earned over $1 billion since July 2017 when it was released. As per the report, $1 billion revenue comes solely from the in-game purchases and transactions which is no doubt a huge success of Epic Games. We can see that the started to grow rapidly when the battle royale mode was released. The game contains skins, emotes and some other items which can be purchased from the game store with a currency called ‘V Bucks‘. Not only in the competition ground, Fortnite is also dominating the game streaming segment since past few months as the developers have planned to go with eSports league for the game. 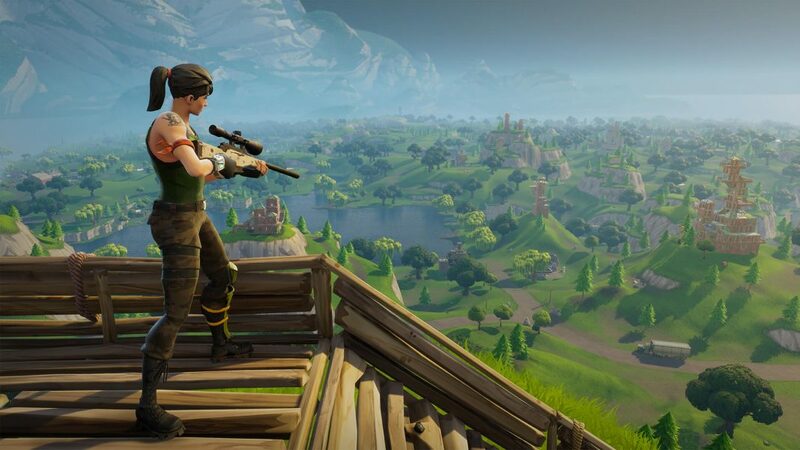 SuperData also predicts that the game will earn 625% more revenue by next year as the craze for Fortnite is not going anytime soon. Developers have also teased the players with new mods such as 50 vs 50, Playground and some others, while recently, the developers released Season 5 Battle Pass. The game is now available on PC, PS4, Nintendo Switch, Xbox One and Android. Stay tuned for more updates!